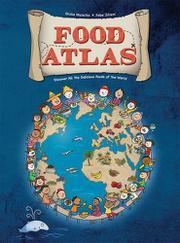 Picture the endless variety of foods that make up the world’s menus. Small, labeled images of various nations’ main food products, including grains, meats, fruits, fish, vegetables, and dairy products, are scattered over 41 country maps and nearby bodies of water. Due to lack of room or perhaps poor design, popular dishes are placed outside the country’s borders, often within the landmass of an adjoining or nearby country, providing very perplexing impressions. For example, the page for Argentina shows the food products (Pampas cattle, sweet potatoes, wheat, etc.) within the Argentine border and the popular dishes (such as the dessert dulce de leche and the “national dish” of asado, “flame-grilled meat”) outside the national border. The inclusion of nonfood marine animals such as whales and dolphins is both unfortunate and confusing. The book is organized by region, and several individual countries are featured in each section. European countries predominate in this Italian import. Minimal coverage is given to the African continent, but unusually, Madagascar is included. The book could be a visual feast, but due to the sheer amount of poorly presented graphic information, it ends up a jumble. The notions of “slow food and slow fish presidiums” are inadequately explained. There is no index and no references, highly inappropriate for this informational text. Readers can browse but cannot easily find information that they may want to revisit.